Link Interactive is a competitive home security provider with a focus on DIY installation and accessible pricing. If you’re anything like me, you’re highly interested in getting the best deal possible, even when it comes to something as crucial as home security. You probably want to know that getting a great price doesn’t have to mean a low quality product. That’s what we’re looking into here: whether the benefits of self installation outweigh the costs. While Link Interactive is by no means alone when it comes to self-installed home security products, they’ve made their name focusing exclusively on this part of the industry. If you’re like me and you’ve got a little bit of tech savvy, you’ll be looking for a solution like this because the initial setup costs can skyrocket when you’ve got technicians coming into your home with loads of tools. This is where a company like Link Interactive becomes much more attractive. Home security is about a lot more than simply protecting your stuff. It’s about even more than protecting your loved ones. What it can truly bring you is peace of mind, day and night, week in and out. A good home security setup will take one of the biggest lifelong worries off your mind for as long as you keep it. That’s the ultimate criteria. Beyond protecting your home from burglary and vandalism, a home security product can help you maintain control over many aspects of home life, from lighting to thermostats. This is a boon for anyone who’s ever worried if they’re wasting energy while out of town. While Link Interactive aims to solve all home security conundrums, it certainly is aimed at some homeowners and not others. Those with more income and less technical know-how are probably better served by doing through a more traditional company, such as ADT or Vivint. They offer a standard professional installation and mostly hands-off operation. You pay up and they secure your home. However, if you’re comfortable setting up and installing the suite of devices that comprise the Link Interactive security system, you might be able to save a lot of money while giving your home and your family the same level of safety and protection. There are some broad qualities that every major player in the industry must bring to the table, the core of which is remote monitoring. This is what makes a home security system worth more than the sum of its parts. Your alarm goes off and a professional at another location will immediately notify the proper authorities. No matter which company you purchase from, you’ll want this fundamental part of the deal. Thankfully, Link Interactive wraps its entire DIY process around this core feature. How does the rest of the package stack up? 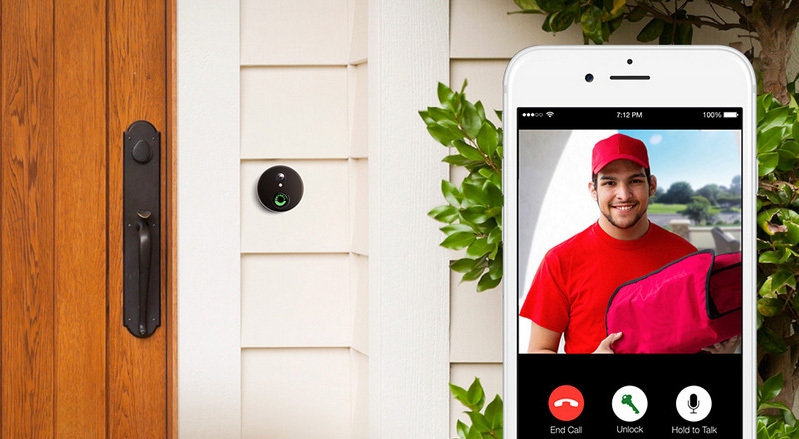 Link Interactive has actually been around for more than sixty years, first as Mountain Alarm, a trusted home security provider that launched Link as its DIY offering just a few years ago. In the time since, Link has gained a reputation for solid customer service and competitive pricing. Link originally began as a partnership with Costco, but has now grown into a formidable force in the home security industry. The total focus on DIY helps keep costs down and allows for a wider potential audience. While this focus limits the potential audience to those who feel comfortable with self installation, it broadens the available price range. Another major focus for Link is in their communication, using Alarm.com as a host for your mobile control and monitoring of the home. This offers the advantage of simple, smartphone-based awareness and control, no matter where you are. Compared to market leaders like ADT and Frontpoint, Link Interactive may appear more pared down and simple, but the tighter focus lends it a greater value for many people, depending on their budget, comfort with technology, and security needs. Now we can take a look at some of the key features of Link Interactive. Every home security company has its own distinct advantages, so it’s important to get a closer look and see what makes it tick. Link Interactive boasts 24/7 cellular monitoring as the lynchpin of its entire system. With this approach, you don’t have to worry about a cut landline or access to high speed cable internet to secure your home. Their professionals monitor for intrusions and fire, but they also offer a unique feature. They call it crash and smash protection, and what it means is that even if an intruder were to destroy your equipment, an alarm signal will still make it out to the monitoring station, getting you the help that you need. This is a crucial positive no matter how you look at it. Prices for Link Interactive plans run on three simple tiers: $29.99, $34.99, and $39.99. With a simple graph they convey the levels of service available at each. Importantly, the most important features are included across the board. This means around-the-clock professional monitoring over a 100% cellular network, covering intrusion, fire, and crash and smash alarms. Additionally, for the lowest price you’ll also get integration with smoke, fire, and carbon monoxide detectors, as well as extreme temperature monitoring. As the price rises, they add features like two-way voice communication, email and text alerts, a supply of 10 sensors for doors and windows, and most importantly, smart apps for your phone or tablet that allow total control from anywhere on earth. The top tier, only $10 more a month than the basic one, even offers motion activated live video streaming and recording. Speaking of video recording, this is one of the biggest ways Link Interactive sets its service apart from the competition. While not available at all price levels, their video services go beyond what most other security companies offer. For starters, you’ll be able to see who’s at your front door via the main control panel or your smartphone. Even better, you can set up custom triggers to send live video to your smartphone, no matter where you are. In the event of an alarm, video will automatically begin recording and storing, so that you can rewind and check it out from anywhere with an internet connection. As smart home technology becomes widespread and prices drop to affordable levels, you’re going to want a home security system that integrates with your smart devices. Link Interactive connects all of the smart devices in your home, giving you responsive automation and control from one single user interface. This means that you’ll be more aware and in command of every aspect of your home, from thermostats to lights, windows, and more. This means that the company is future-proofed in a way that many competitors are not. We wanted to learn what people thought about Link Interactive, so we scoured the internet to find reviews from regular people who have spent their hard-earned money on the product. What we found was refreshingly positive. Here are a few examples. “If you are handy at all, this is the way to go. Same equipment as the big players, but at much better prices. The packages were customizable, so I was able to get all the options I wanted without anything I didn’t need. The ability to connect my garage door control, is very handy.” – Karl S.
“This is the best of all worlds – DIY installation with professional monitoring. I love, love, love how much I can configure everything. I love that the Control Panel is also a Z Wave Controller, so I now have the beginning of a smart home – starting with my connected thermostat. I have installed window or door sensors, two interior cameras, one exterior camera, two additional motion detectors. I will add a few more things on later, but I can’t believe the features and functionality.” – Lesley A. “I purchased the system directly through Link Interactive’s 800 number via their website. I had an excellent sales experience and was able to use my existing sensors since my old security company used the same panel. Installation wasn’t that difficult but I did have to read up on the panel a bit and make a couple of calls to Link Interactive tech support. Each time I called they were very helpful. They give you complete control of your system so you are free to expand it by buying affordable sensors. I love the control and ability to expand the system myself.” – Joey E.
Vivint is an important company when it comes to home automation, providing some of the best wireless home security technology available. Unlike Link Interactive, Vivint offers a more comprehensive installation and setup process, coming into your home to set the product up professionally. They charge for equipment and installation, of course, but if you’re not comfortable working with technology, it could be a better option, provided the higher costs aren’t prohibitive. Contract: Vivint contracts stand at 42 months, while Link Interactive goes for 12, 24, or 36 months. ADT is the most well-known home security name in America, and has been for decades. Their standard service is known for its thorough attention to detail. The company sends people to your home, giving a full consultation and installation themselves. There’s no work required on your part, but it comes with a higher price. Price: Plans run from $28.99 to $55.99 a month. The top plan includes remote secure video and smartphone control. 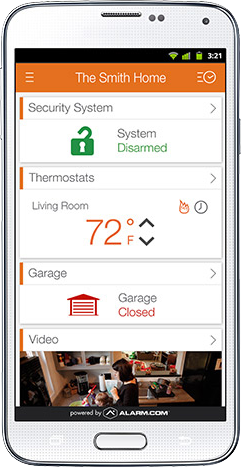 Frontpoint offers a similar set of features, including DIY installation, wireless security, and smartphone access to your home security setup. They’re also known for offering top tier customer service, cellular monitoring, and a uniquely comprehensive approach to security. With a wealth of smart features, solid hardware design, and reliable cellular monitoring, this service is a serious contender for your best home security bet. The simple pricing and clear set of options make it especially attractive to anyone on a budget. If you’re comfortable installing electronics and working with light tools, Link Interactive should be on your short list of home security solutions. Click here to check out Link Interactive.